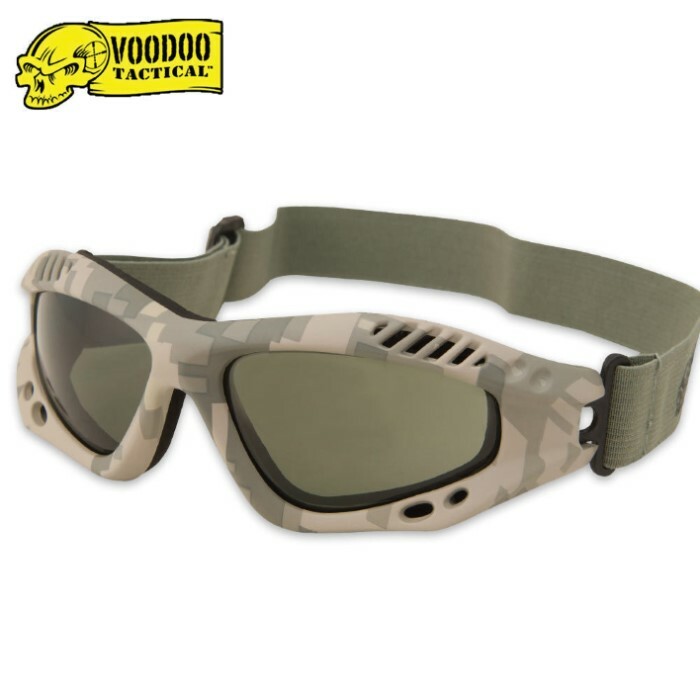 Voodoo Tactical Sportac Goggle Glasses | BUDK.com - Knives & Swords At The Lowest Prices! Used by troops the world over, Voodoo Tactical's Sportac Goggles offer incredible civilian outdoor protection for a wide variety of activities, ranging from bench shooting to airsofting. I got these cause I was tired of wearing stupid glasses when I'm at the shooting range. Well look no further cause these are it, the head strap keeps them firmly to your head to prevent them from falling off when your doing strenuous activities. They block the sun like a pair of sunglasses, and the comfortably is amazing. This was a great buy! They're great goggles. They protect your eyes and they are great sunglasses. The only down side is that they fog up easy. Bigger than your avg. shades but work well!! I use them for work while chipping brush.